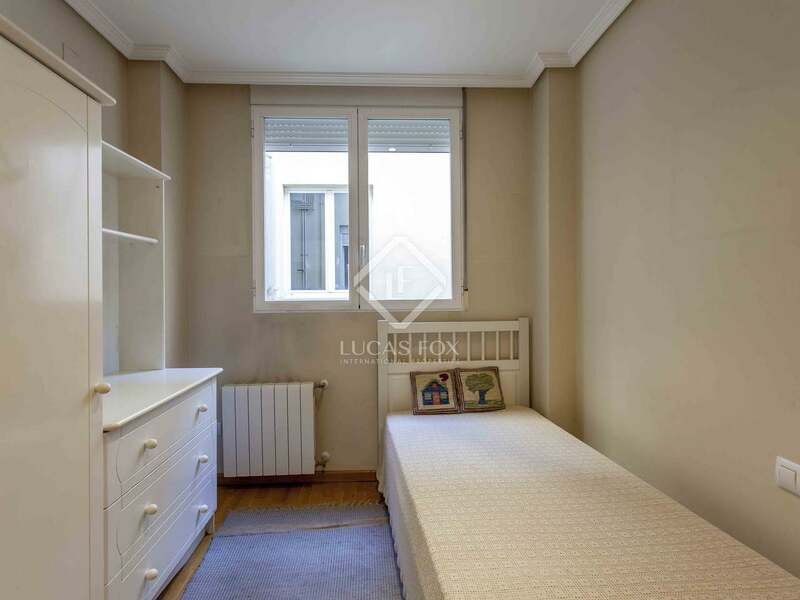 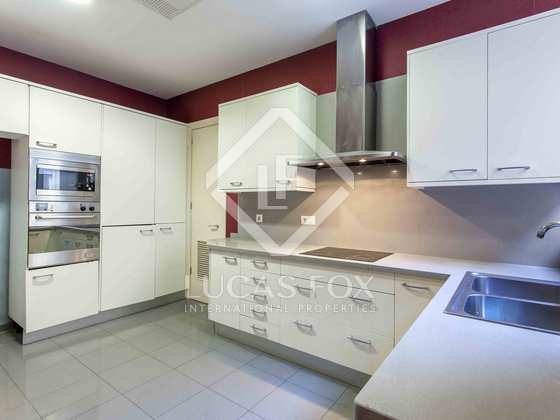 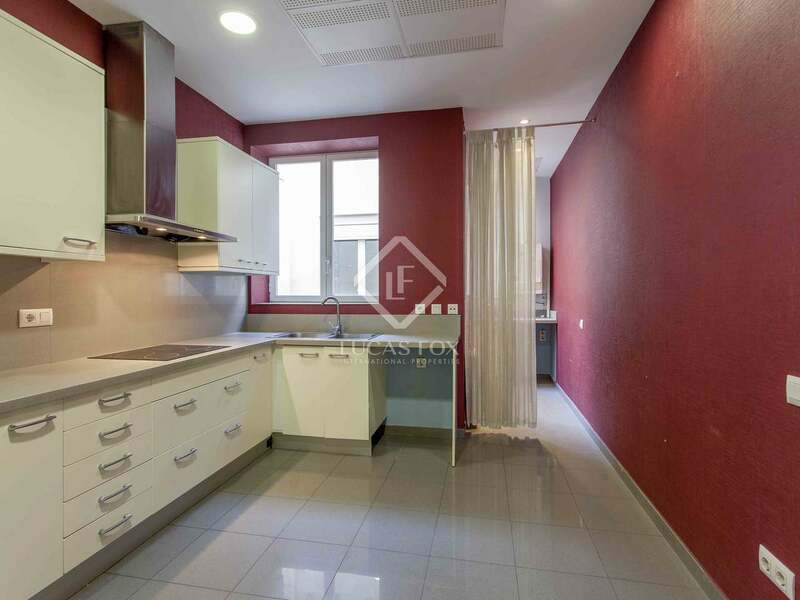 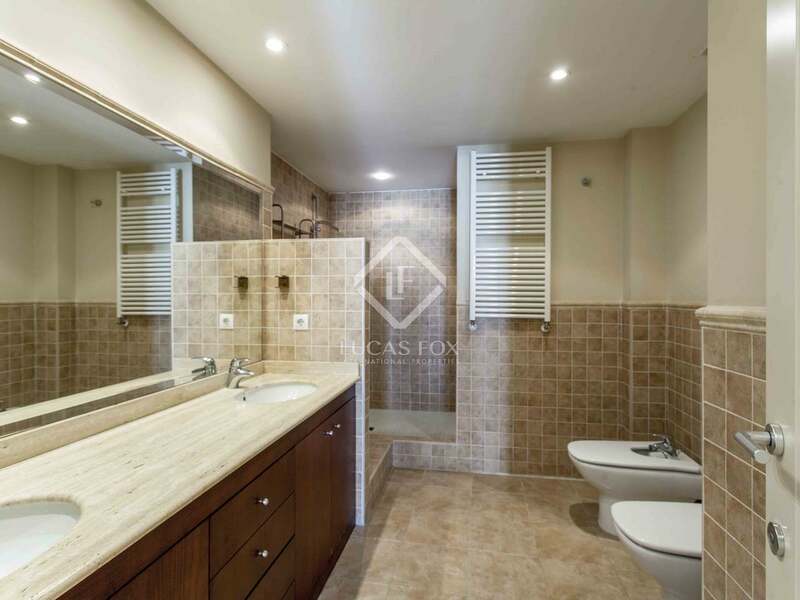 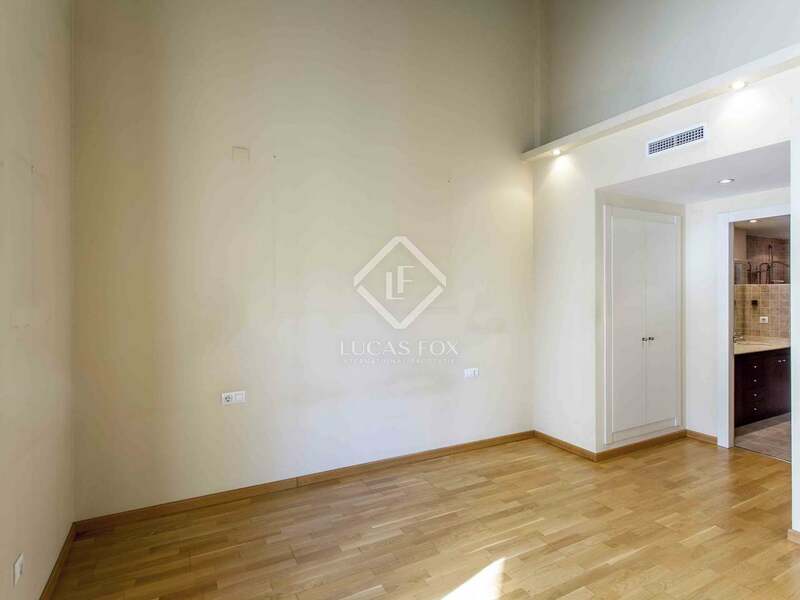 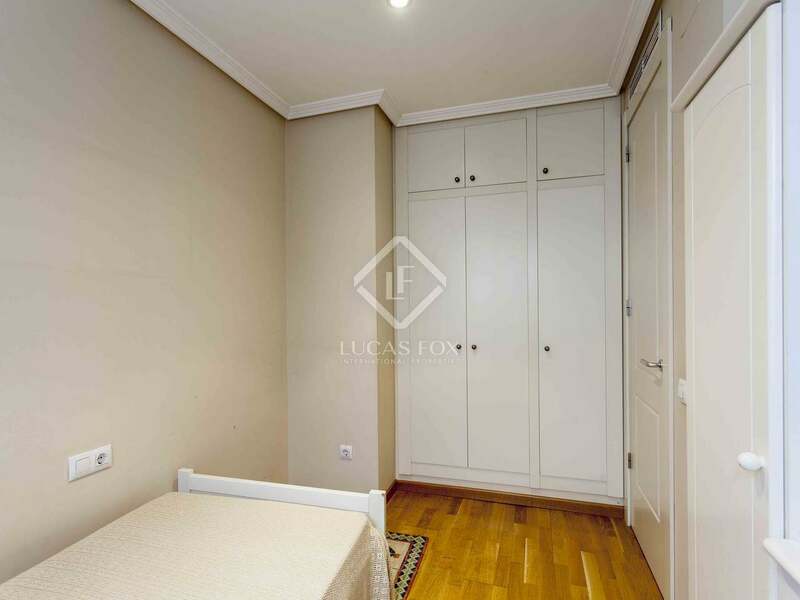 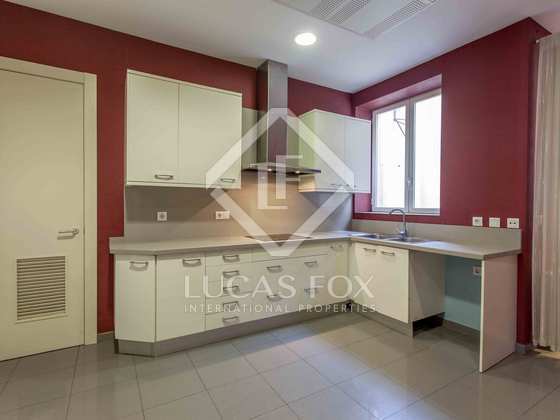 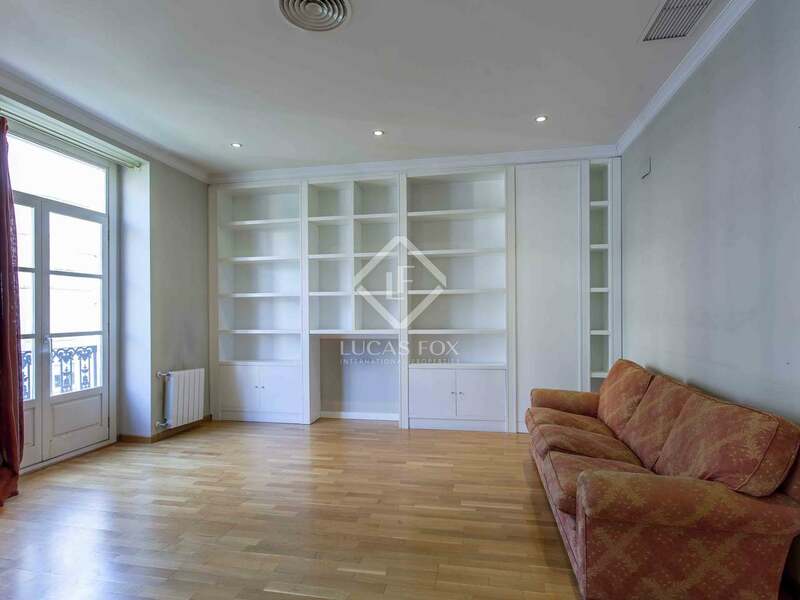 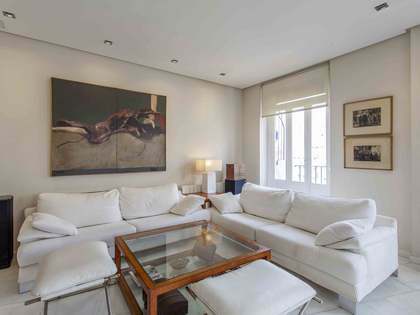 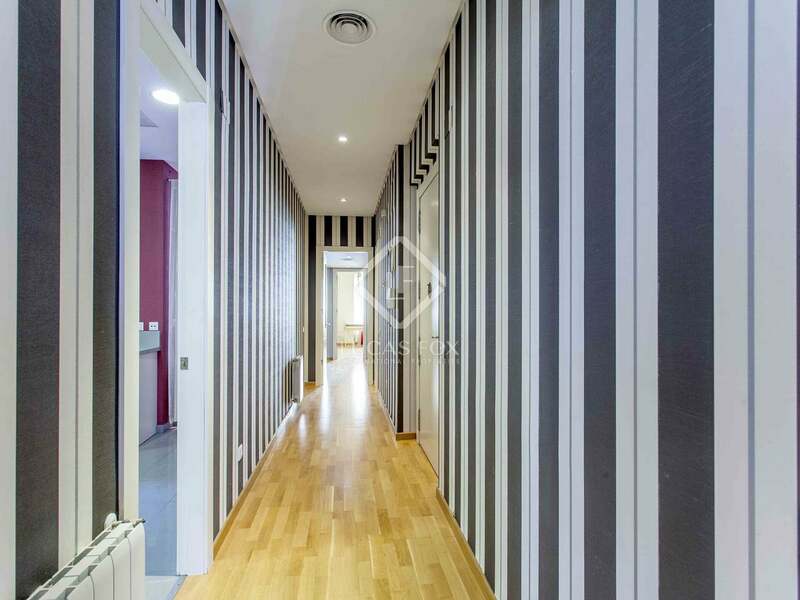 In the heart of Valencia, located in the unbeatable location of Calle Colón, we find this spacious property which offers great potential. It is on the upper floors of a modernista building from 1920 that was completely restored in 2003. 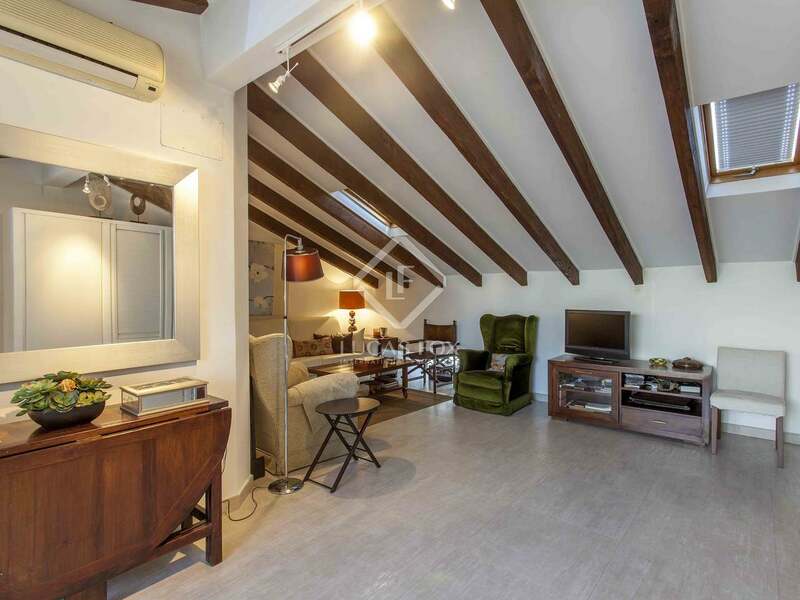 The building has just one dwelling per floor, affording total privacy, and offers beautiful views of Calle Colón, high above the treetops. 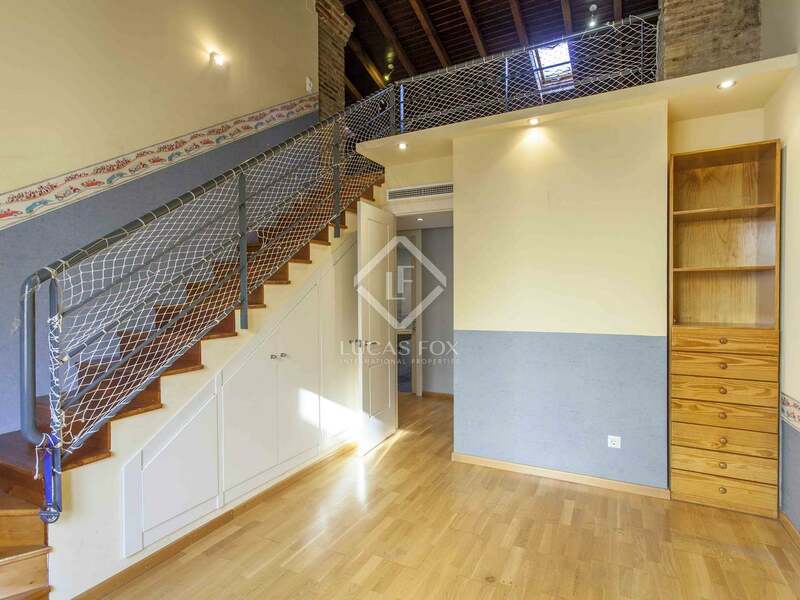 The property consists of a main apartment measuring 161 m² (plus a 36 m² loft) and an independent 70 m²apartment on the upper floor. 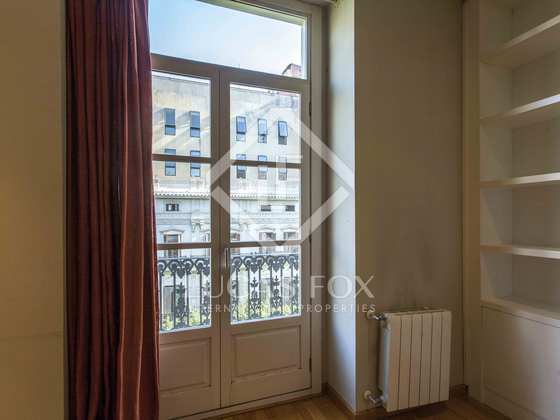 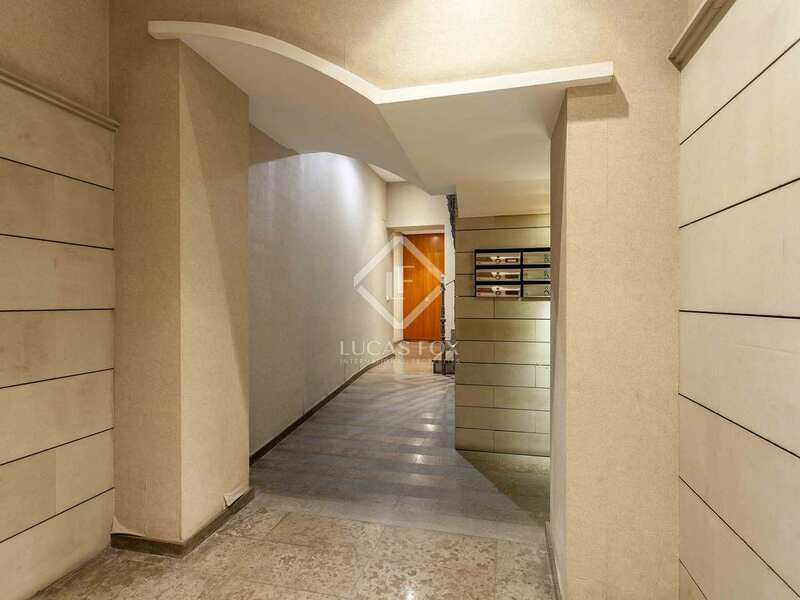 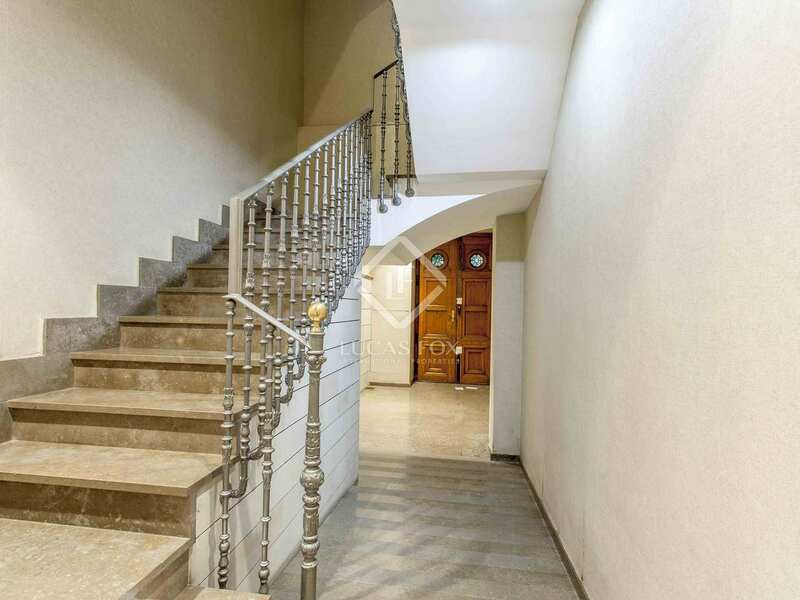 In addition, it has 3 balconies overlooking Calle Colón and a terrace of approximately 20 m². 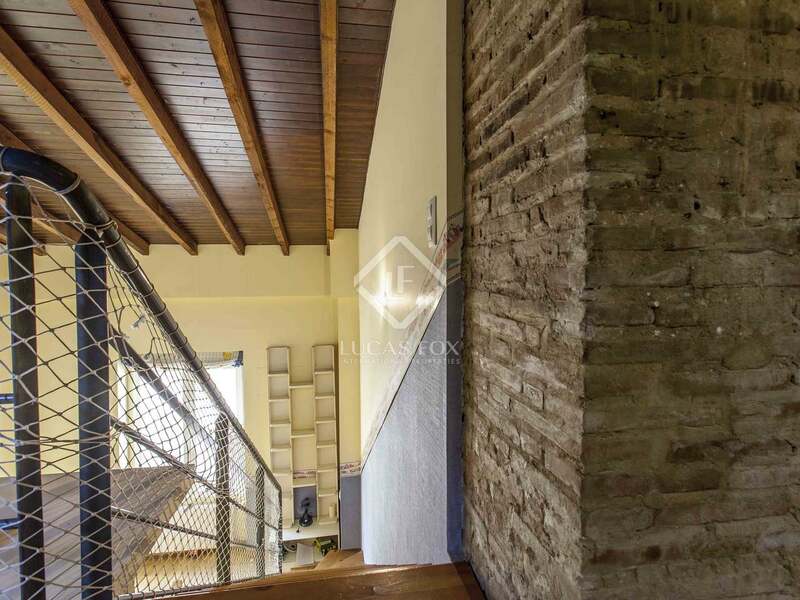 It would be possible to join the two dwellings to create a duplex apartment with terrace (the structure already has a stairwell, although it is currently closed off) or maintain them as they are now, using the upper apartment for rentals to obtain an income. 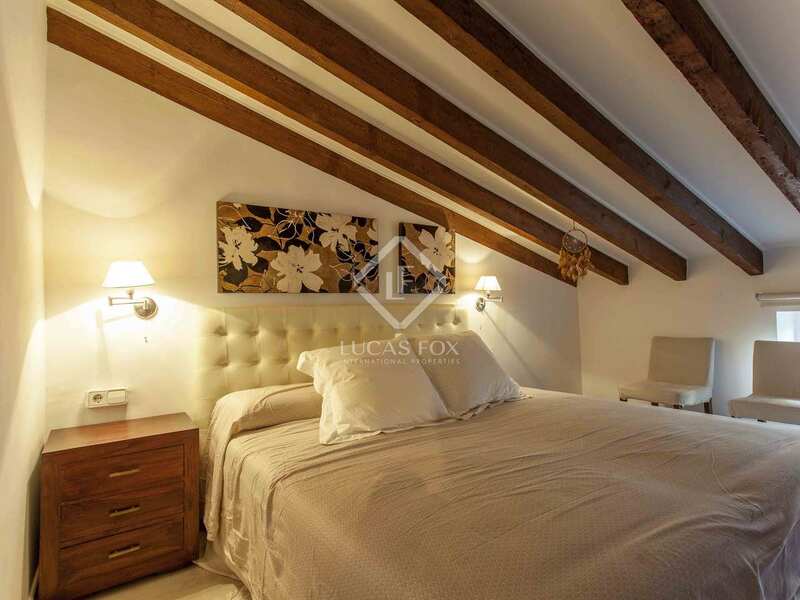 In the event of combining the two dwellings, the upper floor could be redistributed to create an office and a spectacular large master bedroom. 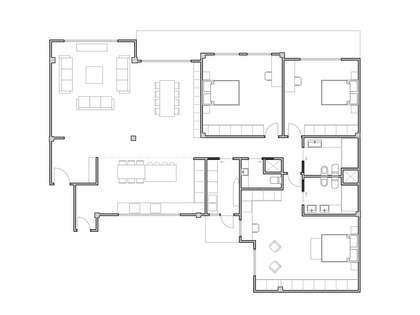 The main dwelling currently has a living-dining room, a large kitchen with utility area and a guest toilet. 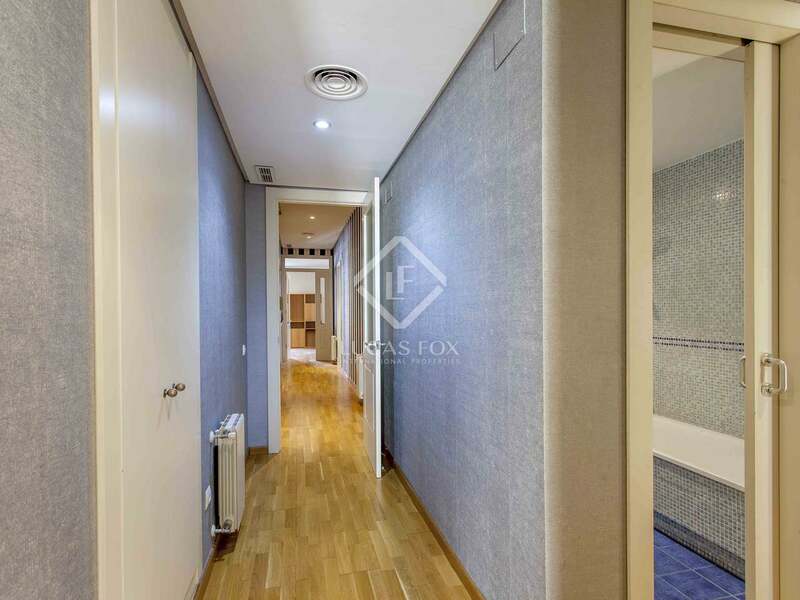 In the night area we find 2 double bedrooms sharing a bathroom, and the master bedroom of approximately 20 m² with dressing room and private bathroom. 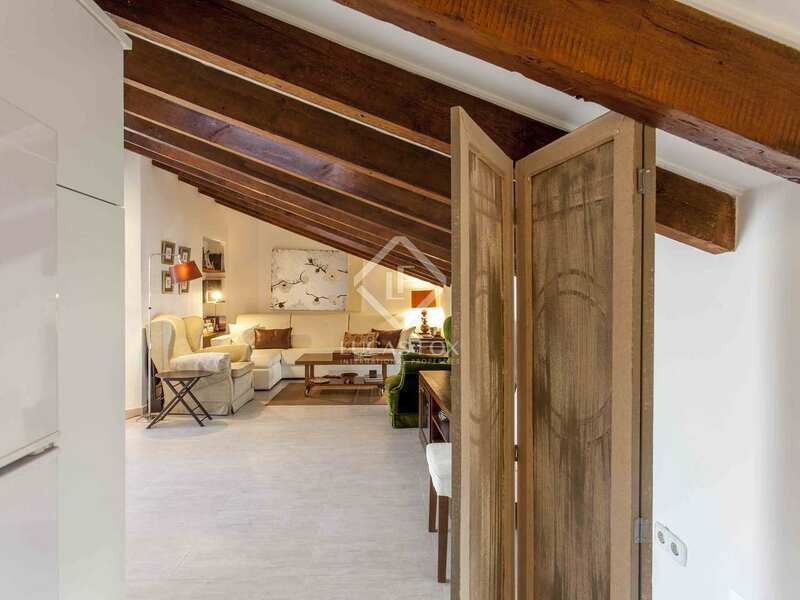 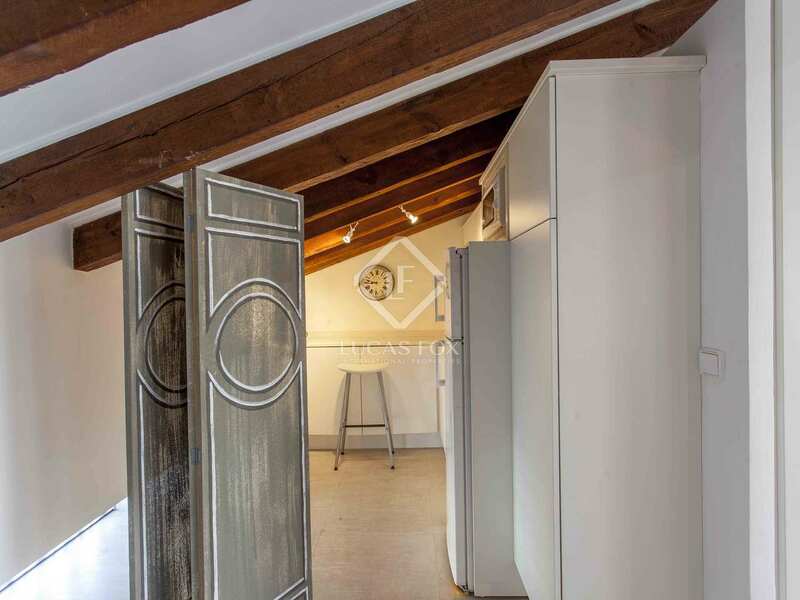 This space has a sloping roof with wooden beams and a height of over 6 metres. 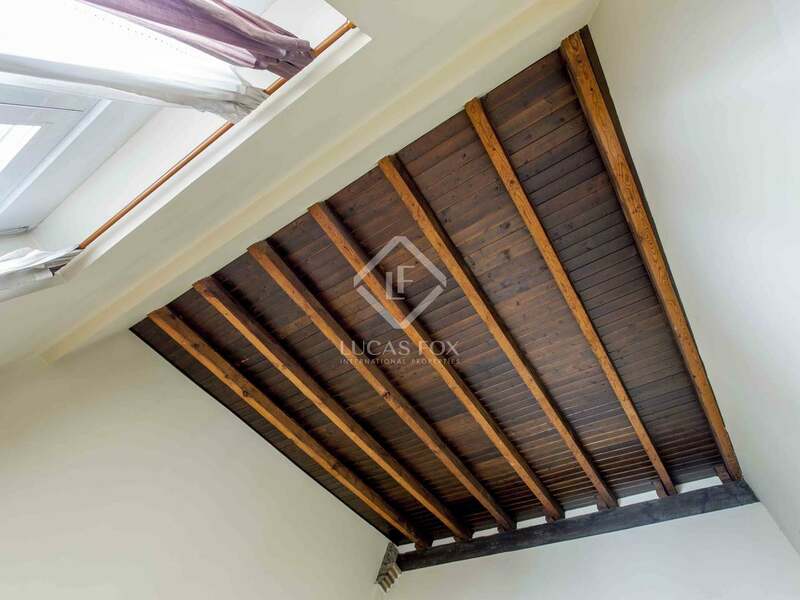 There is also a 36 m² loft area that provides extra space in the bedroom from which it is accessed, but it would be possible to divide it into two spaces so that two bedrooms could each enjoy 18 m² of this space. 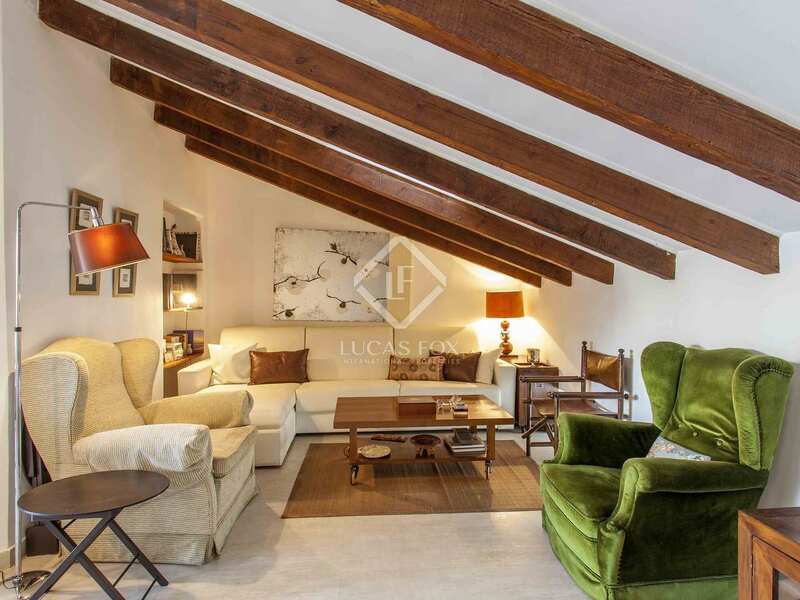 The upper floor has a separate apartment with a living-dining room with a small open kitchen, all in a spacious area with sloping roof with wooden beams. 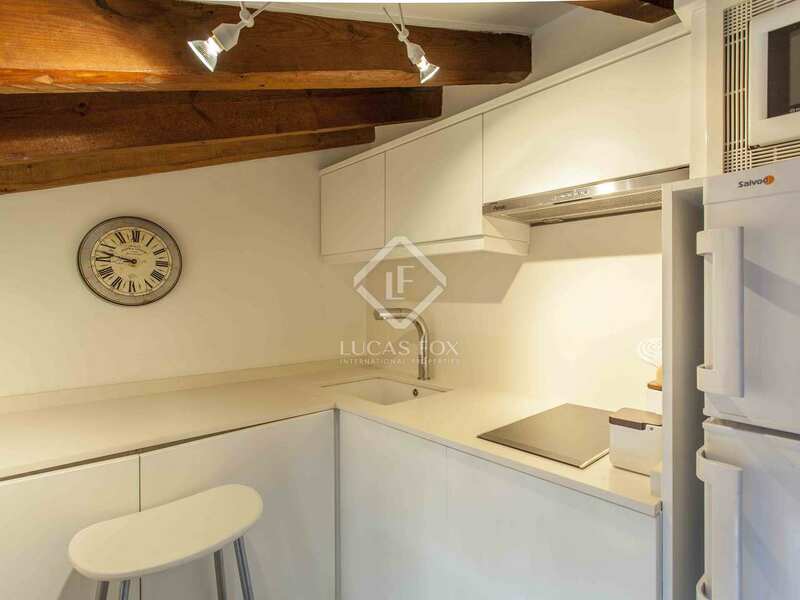 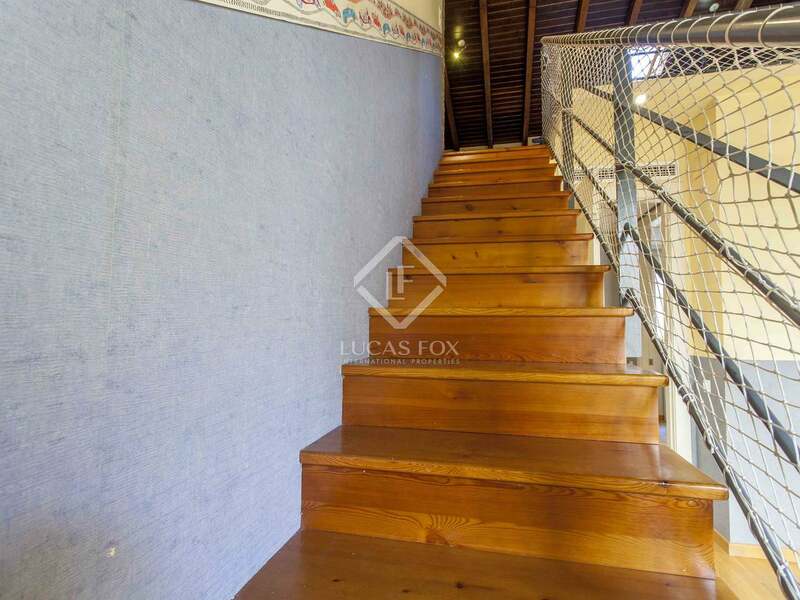 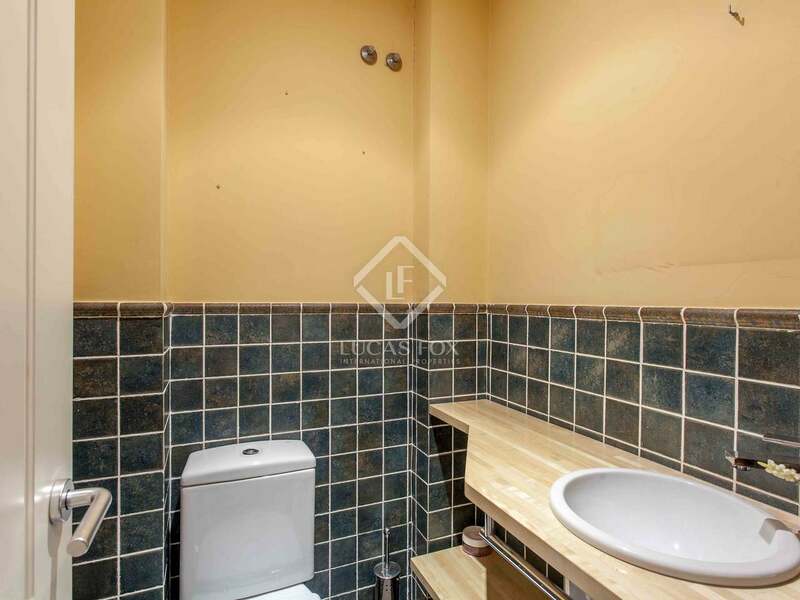 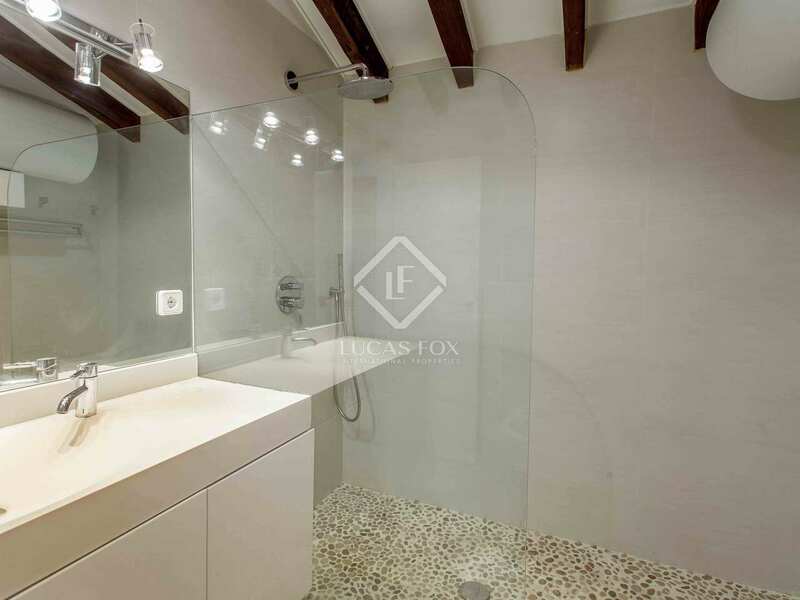 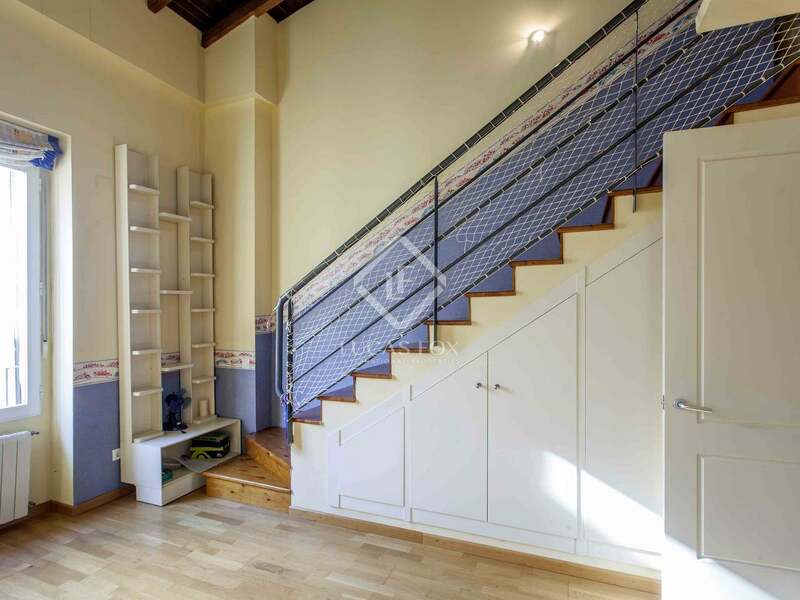 There is 1 double bedroom, a complete bathroom and the terrace of approximately 20 m². 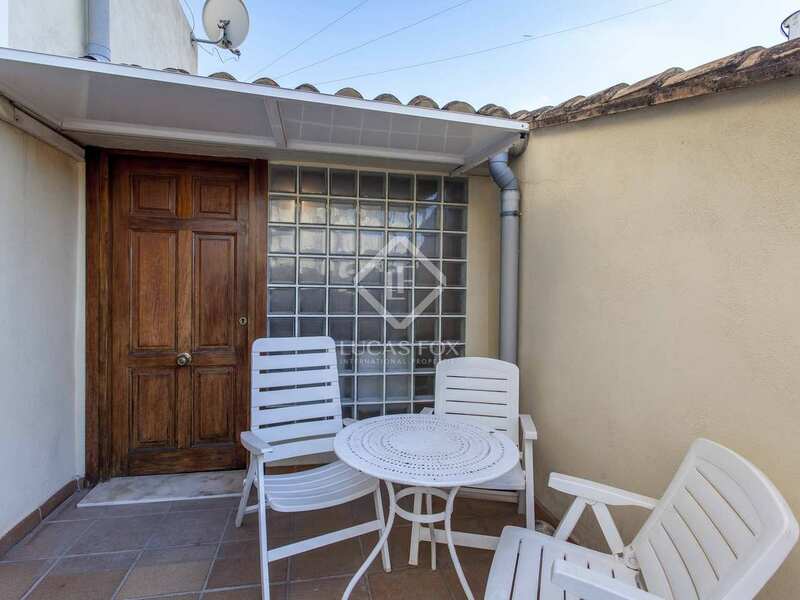 The terrace is interior, giving onto the Arab-tiled roof that is the roof of the loft on the lower floor. 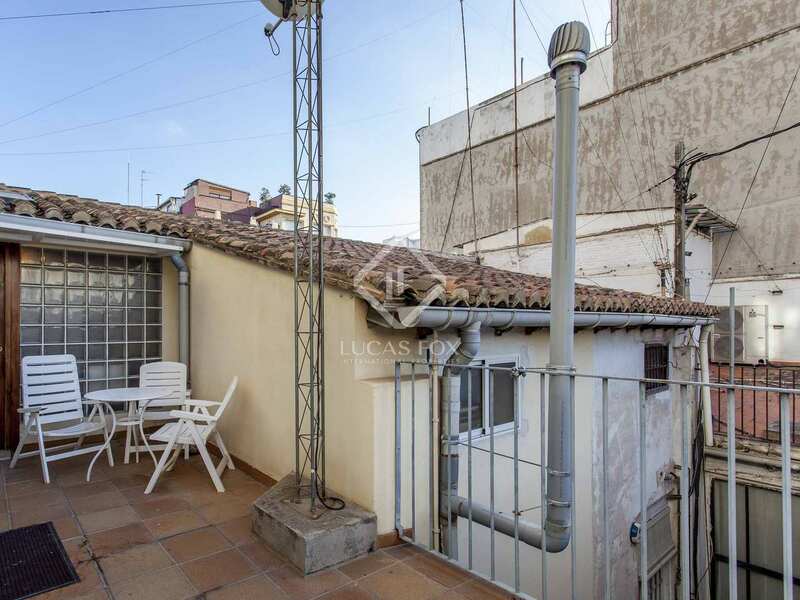 The property is presented in good condition, and only the terrace requires work, as it is currently not used and requires decoration. 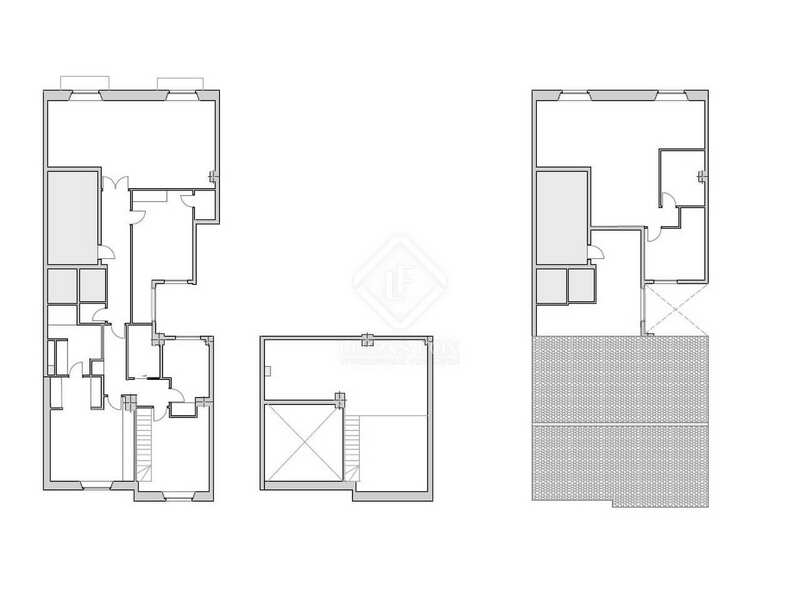 In total, the lower floor has 3 bedrooms and the upper floor has another bedroom. 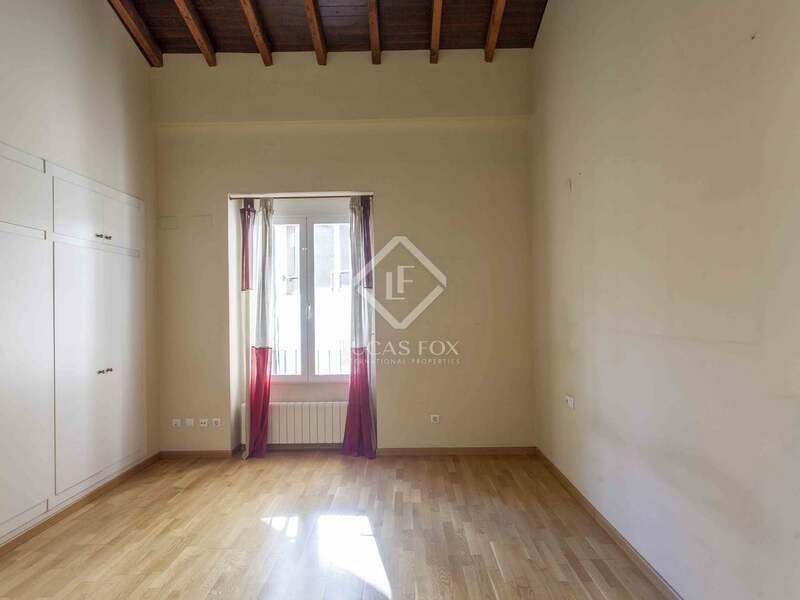 Therefore, if the two apartments were joined, it would create a fantastic 4-bedroom home. 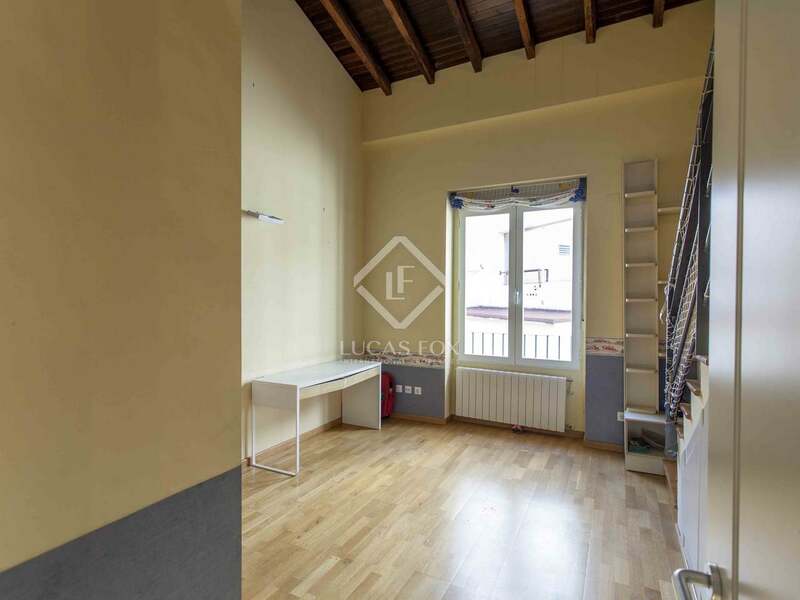 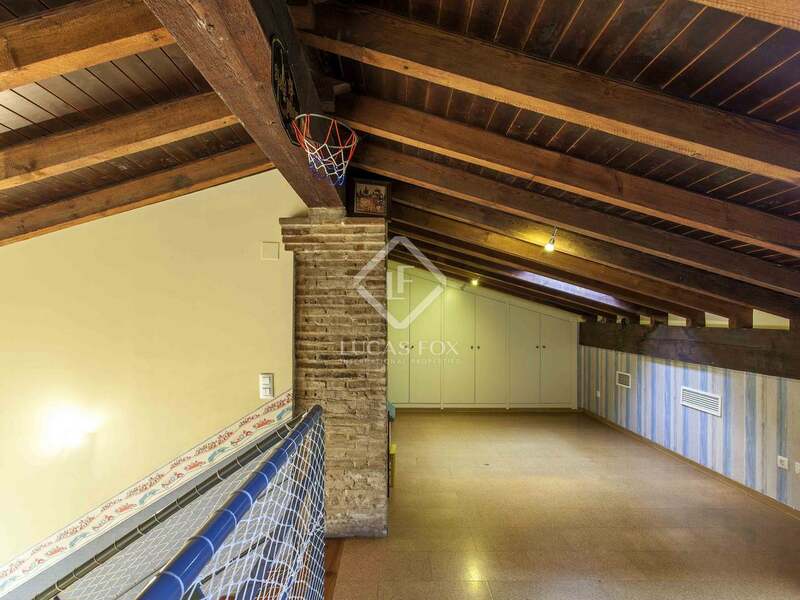 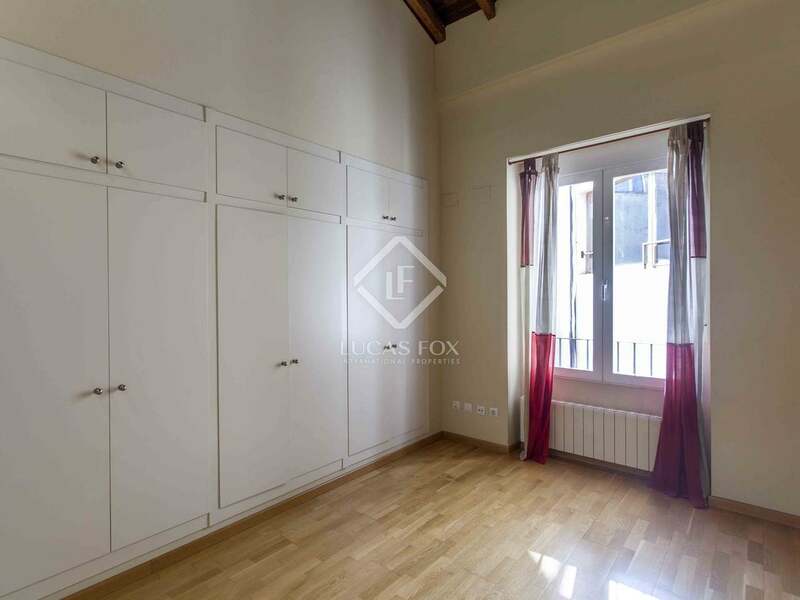 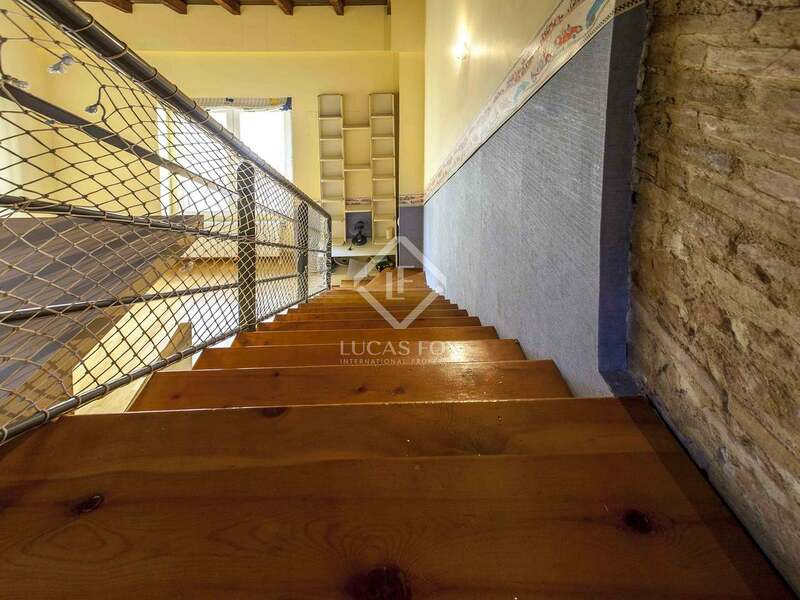 This property would be ideal for families, alongside the possibility of gaining an income from the apartment on the upper floor. 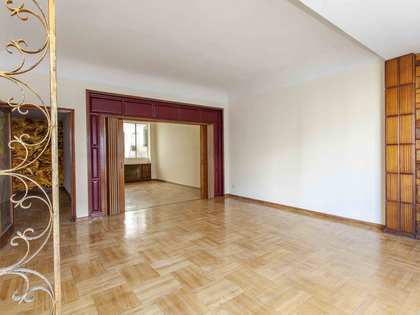 Note that this is a single indivisible property. 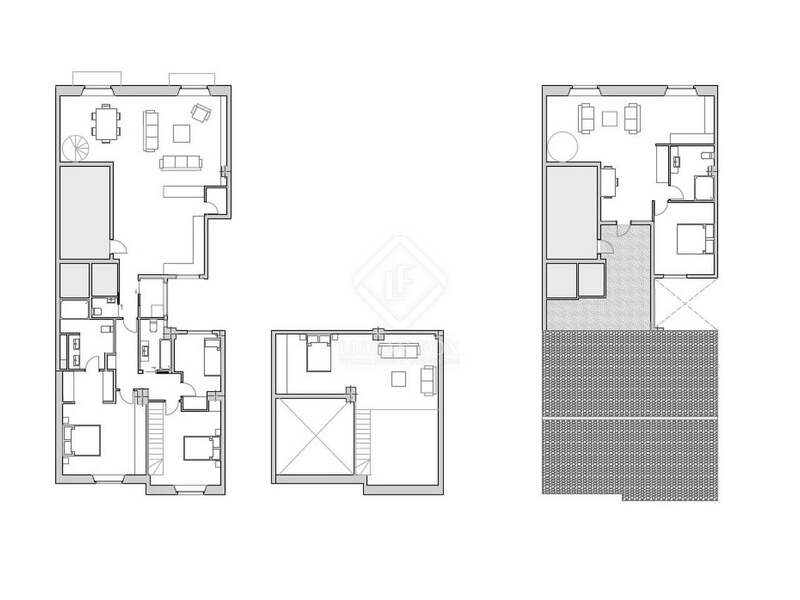 The dwelling on the lower floor can only be sold along with the apartment on the upper floor. 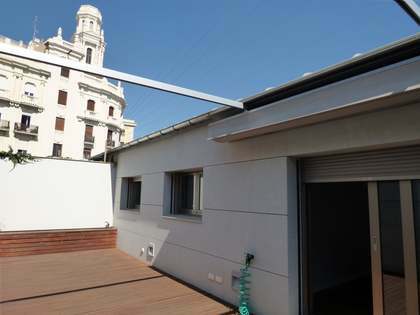 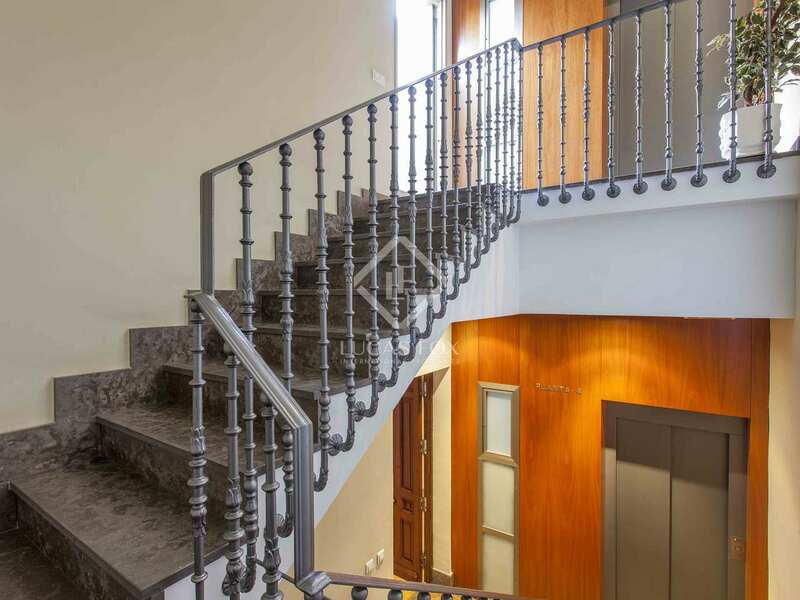 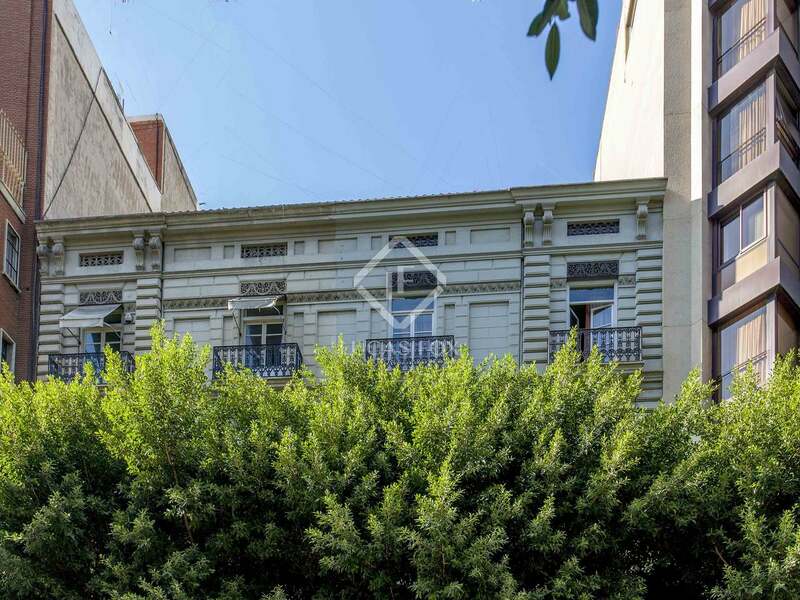 This property is located in the centre of the city, on Calle Colón, the most sought-after commercial street in Valencia. 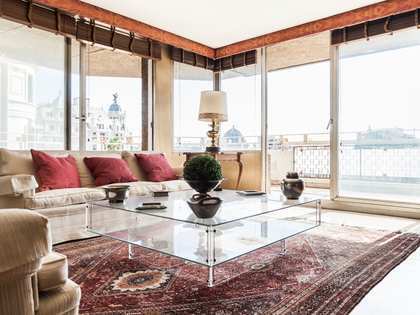 If offers all kinds of services, as well as the large department store El Corte Inglés. 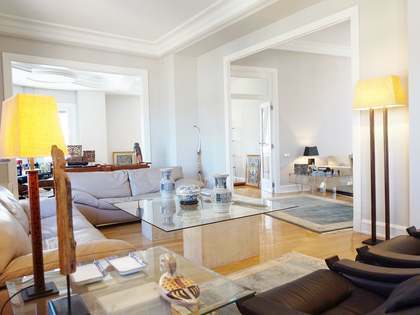 It also offers good public transport links, such as bus and metro.